Compared to other companies, Zynga (Zynga IPO) has already turned a profit and was reported to have had a mind boggling revenue of $850M in the last year. Unfortunately, you may have trouble getting Zynga stocks because there is such a high demand even if the offering size is large. The best way to go about this would be to buy other gaming companies that can benefit from an overall industry rally from the Zynga IPO. All the hype may push penny stocks all the way up to mid cap stocks. If you want to get in on the action but are unable to get a hold of Zynga stocks, then you should definitely buy some stocks in other gaming companies. 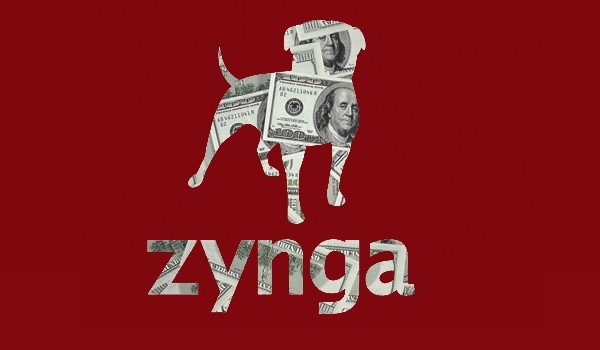 Many people say that the Zynga IPO could be the most popular IPO in the last couple of years. In fact, many industry experts and newspaper commentaries have compared this to the intial public offering of Google (NASDAQ:GOOG). Along with this, there are also a new hunger for other tech IPO’s. If you have been following us for a while, then you know that we make sure to inform our readers of the well-known public offerings as well as other less popular investment banking deals and bargains as well. However, you should know that the Zynga IPO is very different, in fact, extremely different from the other deals out there. Not too long ago, a number of you might have seen technology IPOís such as the LinkedIn IPO (NASDAQ:LNKD) and also the Pandora IPO (NYSE:P) have huge bursts of activity, but eventually fell back again soon after IPO flippers and institutions let go of their positions. The main reason for the stock declines of these two stocks cited above is actually rather simple. The fundamentals of these companies do not match their short-term market capitalizations. Most short sellers are aware that even if brokerage firms issue a buy recommendation, it can only do so much for the stock price. This why a lot of hedge funds make sure that they short these stocks as soon as borrows are offered. However, the Zynga IPO is in a unique position. You cannot compare it to Pandora, because even the Pandora CEO is still not aware when the company will be profitable. For Zynga, this is not the case. Their Facebook presence is large and still explanding. Not just that, company revenues are healthy. In fact, some people even speculate that Zynga could even go on to get revenues of $1B within the next few years. It is worth noting that the Zynga userbase is also very loyal to their games. Users keep coming back to play it day in and day out, which is one of the main reasons why the valuation of the company is said to be in the range of $20B. Take into account that most pros believed Zynga was valued in the range of $10B during the time of the first entry of the Zynga IPO profile. The deal is said to come in, in the fall so get ready. While it may be larger than other companies that have come before it, expect for shares to be hard to get. Most people see it as a deal of the lifetime so it will definitely be oversubscribed. In other words, don’t get mad at your stock broker if you can’t buy it. Top IPO: Who Wears The Crown? The Angie’s List IPO: Does it Have a Shot at Long Term Profitability?